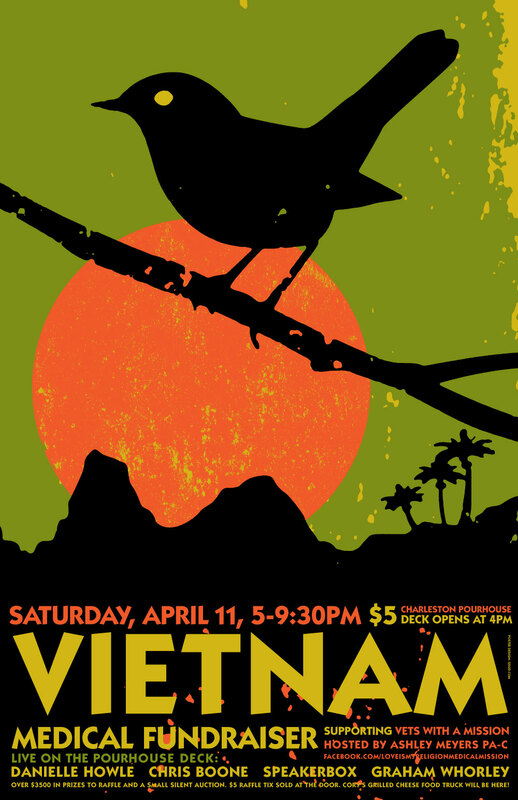 A friend of mine asked me if i would design a poster for his girlfriend to help her raise money to go to vietnam on a medical mission to help locals who have suffered from sicknesses, landmines and general fallout from the vietnam war. well, of course i said yes. duh. so here it is, a nightingale perched over the beautiful horizon that is southeast asia. if any of you can go to this fundraiser, please go and help ashley get there to help these folks. good cause — or if you cant go, send her money.